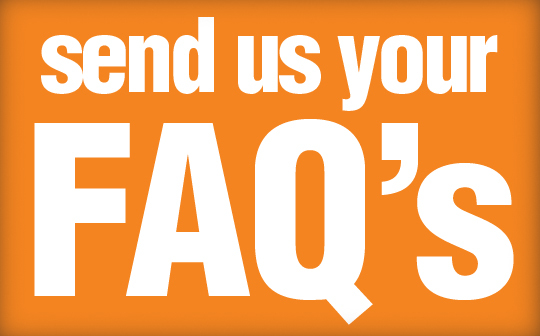 Pacific Honda is answering ALL of your Frequently Asked Questions RIGHT HERE! We'll even put together video demonstrations if necessary. No question is a silly question... ASK AWAY! 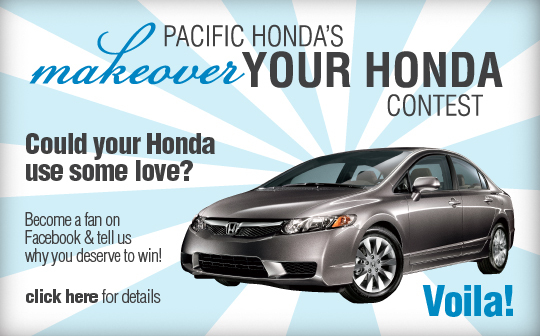 Pacific Honda's MAKEOVER YOUR HONDA Contest has begun! To enter the contest simply post a picture or video of your Used Honda on our Facebook Page and tell us why it deserves a makeover. Make sure you include your name, email, vehicle model and year in your post. Tell all of your friends and family to become fans and vote for you by selecting "Like" on your post. The contestant with the most "Likes" will win! If you know anyone who drives a Honda and is in desperate need of a makeover, nominate them, by telling us why and including all of their contact info. Winner will be announced on May 15th! 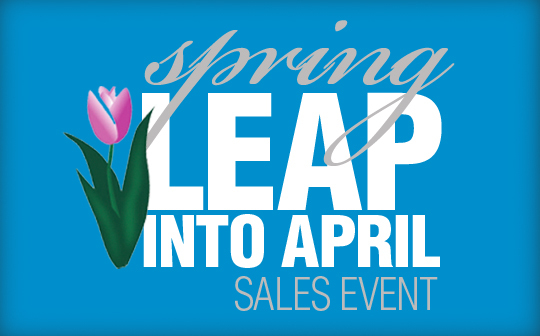 Spring Leap into April Sales Event! And don't forget that we want to buy back your Honda. We need models years 1999 - 2010.